The Lithuanian team won the second place in the FIBA Europe Under-16 Championship after narrowly losing to Spain in the final game on Sunday. The team of 16-year-olds, coached by Mantas Šernius, had previously won every match of the championship hosted by Poland. Sunday's game ended in a tight victory for Spain, 72:74, securitng its fourth European title. 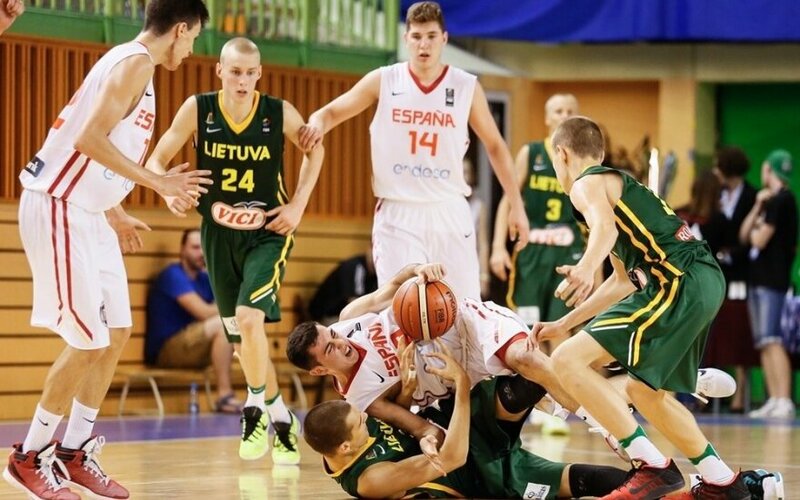 In the semi-finals, the Lithuanian U16 team had beaten Croatia (67:59), while Spain had triumphed over Turkey (75:70). Lithuania won the title in 2008 and has been the European vice-champion four times.